An issue I have always had close to my heart is animal cruelty. That maybe quite clear to many people as I did a degree in Zoology and my passion for animals is second to none. Recently though, I have had a lot more time to consider what I wear from clothes to makeup and the more I learn the more shocked I am by the beauty world. 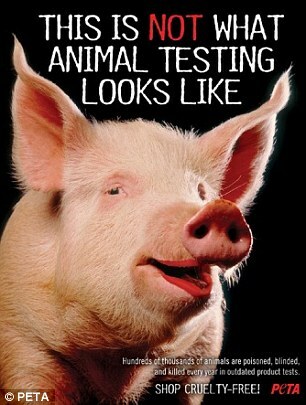 In today's world there should be no reason for testing on animals, in 2013 the EU banned cosmetic products that had been tested on animals which was a huge relief to many people. 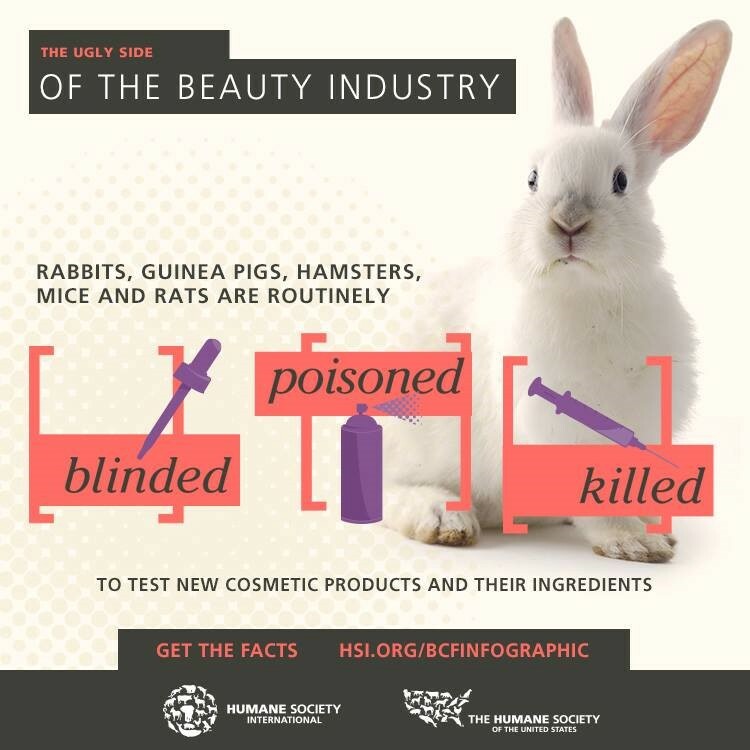 We know enough about how products work and the chemicals that have been put into a lipstick or eye shadow that the animal isn't required yet animal is still testing taking place! How many of you own something from MAC, Benefit, Jo Malone, Bumble and Bumble, Lancome, Clinique, Victoria Secret or Maybelline? I know I own things from at least 3 of those, and they feature regularly in my make up routine but what you may not know is that they all test on animals. Now I'm not saying that all brands are bad, there are levels of what you class as animal cruelty I guess. The first is where companies them selves pay for animal testing for their products this includes the likes of L'Oreal who now worryingly own The Body Shop and Avon. Large companies such as Unilever who own Dove and Organics and Procter & Gamble who own Herbal Essence and Max Factor. The next is companies that use products that have recently been tested on animals and so although they don't test on the animals themselves they continue to buy and benefit from products that have. 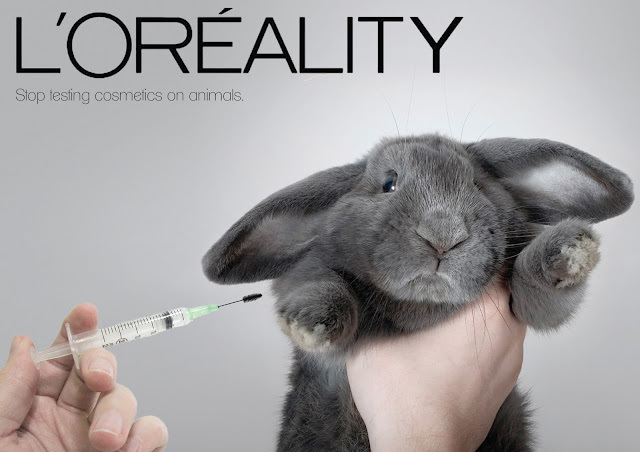 This is where a large number of brands fall into including Clinique, Clarins, Chanel, Revlon and Estee Lauder with most of the decieving customers by making out they are cruelty free. 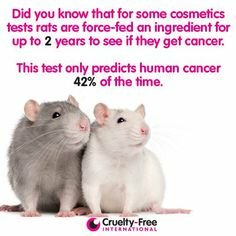 I mean Clarins released a statement in 1987 saying that they were the first company to cease product testing on animals, but they made no mention of the fact many of the chemicals they use in their products are tested on animals. Sometimes its hard to even tell! The final group of companies that still use animal tested products are what I feel are acceptable. These companies have a fixed cut off date which effectively means that they wont buy products tested on animals after say 2000. This to me is very fair as so many products were tested on animals back in the 1980s and 1990s that there is very little not used but these companies show that they don't wish to profit from animal testing that is taking place today. The thing with beauty is, everyone wants to say that they have this new product which can make you look younger/brighter /feel fabulous but, it is in these *new* chemical combinations where animal cruelty takes place. China is also a problem. Victoria Secret who were once cruelty free are no more because by law China require products to be tested on animals before they can be sold. The product is sent to Chinese labortories where around 300,000 animals are tested on each year and the welfare of the animals is known to be pretty bad yet companies agree to this because of the profits, Revlon even say its because they feel women should have the opportunity to express themselves with make up and many companies, although they dont agree with testing on animals they are committed to their costumers and the service they provide! Many companies now say that they are cruelty free except when they are required by law to do so and so many large make up brands that choose to sell in China therefor are no longer cruelty free even if they want to be! The companies that are completely cruelty free like the body shop are missing out on a £20 billion beauty market but they are staying true to their beliefs which is so refreshing. Many of the companies that do have to animal test by law say they will aid in convincing these countries animal testing isn't required yet there has been no sign of this yet. Not all is bad though, there are some fantastic companies that don't believe in animal testing and so refuse to sell in China from well known companies such as the body shop, Urban Decay, Bare Minerals, Nars, Zoeva, Dermologia, Liz Earle, Smashbox, Spectrum Brushes, St Tropez, Charles Worthington, Anastasia Beverly Hills, Elf, Lush, the list is pretty extensive, Suzi's Blog Cruelty Free Kitty can give you a very long list of so many brands you can use instead. Now this post isn't about trying to make you feel bad, don't feel like you need to run to your cupboard and dispose of all the products you have from those companies (although in a ideal world I would be able to chuck out the foundation I just bought from Clarins which has been my favourite for years), I feel like we all just need to be a little more aware of the things going around us. If YOU switched just one of the products you use for a cruelty free brand it would make you feel better, recently I have slowly been converting off MAC to Urban Decay, from Clinique to dermolgica, my next step is to find alternatives to benefit, likely to be Anastacia Beverly Hills. I love makeup, I think it is something that it enables you to increase your confidence and transform yourself into what ever you feel like being but surely it isn't worth an animal having chemicals injected into its eyes and mouth over and over again? 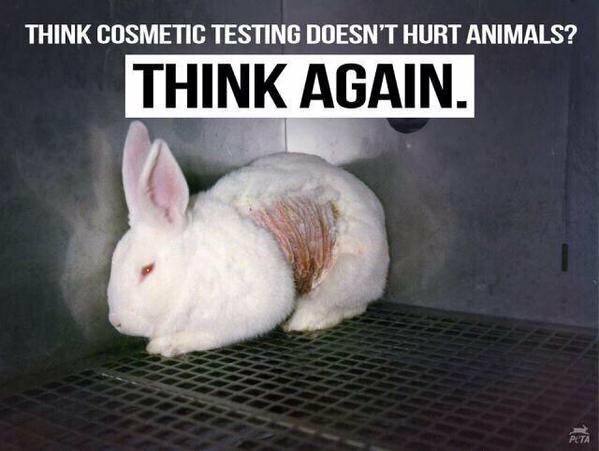 Surely we can wear makeup without any animals suffering ? I certainly think it would be a better world if we did! What do you think? Do you have any cruelty free favourite brands?